For nearly a century, R.A. Guinner has taken pride in providing nothing but the best plumbers St. Louis and the surrounding areas have to offer! 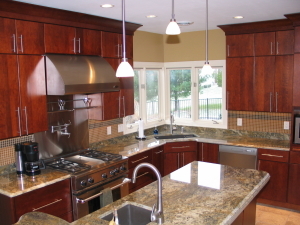 R.A. Guinner Plumbing provides complete kitchen and bath remodeling services, and specializes in guiding you through every step in the process. 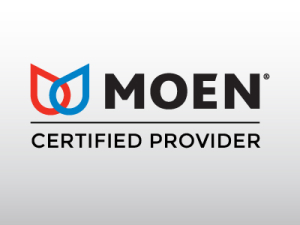 As one of the premiere St. Louis plumbers, we are dedicated to providing exceptional services, and are proud to be a Moen Certified Provider. R.A. Guinner Plumbing Company has been providing the best St. Louis plumbers for over 80 years! The company was started by Ralph A. Guinner, who believed in providing quality service at affordable prices. In 1986 the current owner took over, and vowed to continue to build on that foundation of quality and service. Our company is family owned and operated and pride ourselves on “top of the line” service and plumbers in St. Louis. St. Louis plumber R.A. Guinner has an impeccable reputation of providing exceptional plumbing services for homes and businesses in the St. Louis and surrounding areas for over 87 years! This doesn’t happen by chance. It takes hard work, dedication, training and a true passion for customer satisfaction. We are committed to utilizing the highest quality plumbers in St. Louis! Choosing a plumber in St. Louis can be difficult, and we realize that you have many options for your plumbing and remodeling needs. All of our St. Louis plumbers are Licensed, Bonded and Insured and have completed the mandatory five year training program as well as continuing education classes.